There are seven species of bats that live in Minnesota, all of them are rather small. Four species (Little Brown Myotis, Northern Myotis, Big Brown Bat, and Eastern Pipistrelle) form colonies and can be found living in colonies in caves, hollow trees, and buildings. These animals typically feed over open fields, along woodland edges, or over lakes and streams. Our wildlife control techs specializes in the removal of Bats in Minneapolis, St Paul , St Cloud and all surrounding suburbs. The remaining three species (Silver-haired Bat, Red Bat, and Hoary Bat) are commonly called tree bats, reflecting their preferred habitat. They lead solitary lives, characteristically roosting in trees and feeding in or around forested areas. All Minnesota bats are insectivores. They feed exclusively on insects—mostly beetles, moths, flies, midges, mayflies, and to a very minor degree, mosquitoes. Scratching sounds, especially at night or on really cold or warm winter days. Chirping sounds that come from the attic, walls or chimney during June, July or August. A bat in the living area any time of the year could mean you have a colony of bats living in your house. A concentration of bat droppings on exterior walls, decks or porches. A concentration of droppings in your attic or other areas of your house. A urine smell that come and goes but is especially bad on hot humid days. Seeing bats fly away from your house a dusk or circling your home at dawn. Bat proofing is the only way to permanently rid a structure of bats. The process of bat proofing is done by sealing or repairing all openings on the building and installing one-way devices or netting at the bat entry points. Bat Removal USA asks that no bat removal company install bat venting devices until after the baby bats are weaned and flying. Exclusion done before the baby bats are weaned and flying will result in young bats being trapped inside where they will die and create an odor pest problem. 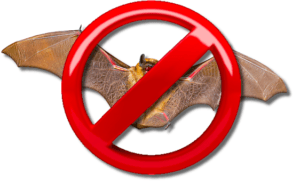 This is a comprehensive list of Minnesota bat removal and bat control companies. These companies follow best practices when performing Minnesota bat removal, bat proofing, bat guano removal and disposal, and bat bug treatment and extermination if needed. 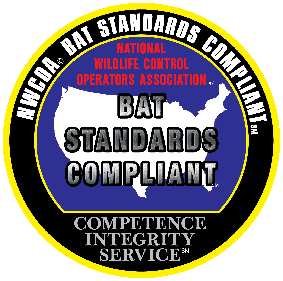 We ask that all bat removal companies in Minnesota operate in accordance with NWCOA Bat Standards, remove bats humanely, and don’t remove bats during the bat birthing season. All bat removal companies in Minnesota should be properly licensed, guarantee their work, and carry required levels of liability and workers’ compensation insurance. We try to ensure that all Minnesota bat removal companies appearing on this website are the area’s best local company for getting rid of bats. If you have bats in your attic, a bat in your house, or bats in your home’s vents, give us a call for Minnesota bat control and removal. Our Minnesota bat removal companies are experts at getting rid of bats in Minnesota and keeping them out. Bat guano removal in Minnesota should only be performed by companies with the training and equipment needed for safe removal and disposal. Bat bug extermination and treatment in Minnesota should only be performed by trained professionals. Bat control in Minnesota can be difficult at times. There are many different techniques and approaches that can be utilized depending on your particular bat removal needs. We recommend only using Minnesota bat removal professionals to get rid of your bats. Bats like other mammals are associated with certain diseases that may be transferable to humans. The main problems associated with bats are rabies, histoplasmosis, bat bugs, and the damaged caused by allowing bats to remain in Minnesota structures. If you’re looking for the area’s top rated Brookland Park Minnesota Bat Removal specialist to remove bats in your attic or other locations on a structure in Brookland Park Minnesota Bat Removal or surrounding areas, give us a call . If you’re looking for the area’s top rated Duluth Minnesota Bat Removal specialist to remove bats in your attic or other locations on a structure in Duluth, Minnesota or surrounding areas, give us a call. If you’re looking for the area’s top rated Bloomington Minnesota Bat Removal specialist to remove bats in your attic or other locations on a structure in Bloomington, Minnesota or surrounding areas, give us a call .